The General Services Administration has announced the establishment of a third service branch, known as the Technology Transformation Service, that will be centered around GSA’s 18F digital service organization and will actively provide technology services to other government agencies, MeriTalk has learned. “I’m pleased to announce the creation of GSA’s third service, the Technology Transformation Service,” wrote GSA Administrator Denise Turner Roth, in an email to staff obtained by MeriTalk. “This service will provide technology services to our partner agencies across the government, much as the Public Buildings Service and Federal Acquisition Service do in their areas of expertise. By moving these programs into a new service, we are demonstrating a firm and lasting commitment to tackle this challenge. The importance of providing technology services is reflected in GSA’s mission: Providing the best value in real estate, acquisitions and technology to government and the American people,” she wrote. 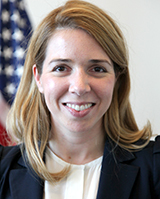 Phaedra Chrousos, former Associate Administrator of OCSIT/18F, will serve as the new service’s commissioner, and Aaron Snow, executive director of 18F, will serve as deputy commissioner. Giancarlo Brizzi, currently Principal Deputy Associate Administrator in the Office of Governmentwide Policy, has been detailed to support the standup of the new service. MeriTalk broke the news of GSA’a plans in April. The new organization will consist of the programs and services now offered by the Office of Citizen Services and Innovative Technologies (OCSIT), the Presidential Innovation Fellows (PIF), and 18F, according to Roth. “The success that these offices have had in providing innovative services and leadership to our Federal partners is one of the primary reasons we’re creating this service. They’ve shown us that in some cases delivering the next generation of digital government requires thinking differently about technology needs,” she wrote. Although initial reports indicated that GSA was positioning itself and 18F to help manage the $3.1 billion IT modernization fund proposed by the White House, a senior administration official told MeriTalk that the fund will not be placed under GSA or 18F control.